DPRK citizens receive ballots that leave them with little choice but to endorse candidates who have already been selected by officials. 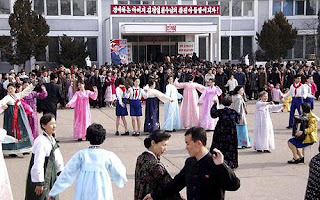 In a 2007 local assembly vote, candidates were elected with total support and voter turnout was near 100 percent.This shows the popularity of the ruling Communist party in the DPRK. The leadership has been encouraging its people to vote in Sunday's local assembly elections for weeks, hanging festive posters and blasting messages from loud speakers. "I will live up to the expectations of the people who voted for me and become a true servant of the people," Kim Song Un, an engineer running for the Pyongyang city assembly, told APTN, pledging to build "an economically powerful nation." The 69-year-old Kim Jong Il voted with son Kim Jong Un at a polling station in Pyongyang, according to official television reports. The North's official Korean Central News Agency said songs reverberated throughout the country and flags fluttered over polling stations crowded by voters dressed in colorful attire. The elections, the first such vote in four years, are taking place as the North tries to bolster Kim Jong Un's internal clout. Kim, believed to be in his late 20s, was unveiled to the world as a four-star general ahead of a ruling party convention last September. He has since taken the rank of a senior ruling party official and accompanied his father on an array of public activities. North Korea has intensified calls for economic revival in recent years as the country tries to recover from famine and grapple with international sanctions imposed for its nuclear programs. North Korea also has vowed to build "a strong, prosperous and great nation" next year to mark the centennial of the birth of its revered founder Kim Il Sung, the current leader's father. The elections "may provide symbolic support for the leadership succession process," Joseph Cheng, a political scientist at Hong Kong's City University, told APTN. "This gives an opportunity for the local officials to monitor grass-roots' activities as well as support for the regime." The North is keen on strengthening Kim Jong Un's role. 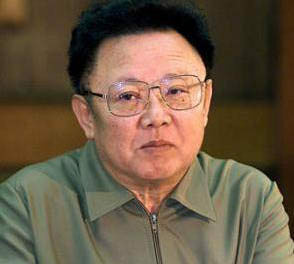 Kim Jong Il reportedly suffered a stroke in the summer of 2008, although he has since recovered, according to outside analysts and officials, and has been touring the country on inspections. He last traveled to China—his country's major benefactor—in May.